Are you attending Cisco Tech Days? Maybe you aren’t and just want to come by and have a beer with people who love technology as much as yourself? Come grab a beer (and snacks) courtesy of Tegile Systems and onTop Technology. Are you in Phoenix in July? How about some air conditioning, frosty beverages, and good company to combat those triple-digit temperatures outside? 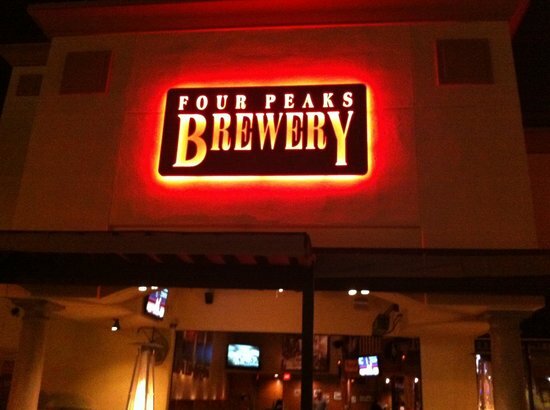 This vBeers coincides with the Phoenix VMUG meeting, so if you’re already here for the VMUG, why not stick around and drink a frosty beverage with some colleagues? If you haven’t registered for July’s Phoenix VMUG event yet, what are you waiting for?!? Head over to this link to sign up. NOTE: Due to scheduling this one just following the VMUG, we may have a sponsor for this vBeers, so stay tuned for more information on that front. It has been a while since we’ve had a vBeers in Phoenix. Get out of the heat and knock back a couple of cold ones with other virtualization enthusiasts, sysadmins, engineers, consultants and whatnot. No selling, just drinking, conversation and fun. The place is located on the far west side of the District portion of Tempe Marketplace (that’s the section with the movie theater in it). If you enter the mall from McKellips, you can’t miss it. We’re trying a vBeers in the Phoenix, AZ area. This time, we’re holding it in the west valley, but we’ll try for something more central in the future. Come have a beer and talk virtualization, or just come have a beer. I will try to make it however I live in the east valley and this is way on the other end of the valley. Next time try Central or maybe around ASU Temple Marketplace. I plan to make it see you all there! I’ll be wearing my dark+light blue VCDX3 shirt and sitting in the bar area. Why didn’t I read this post yesterday? Maybe next time.